In my interview today you are going to hear from one of the leaders in this industry in teaching you how to become an effective communicator through your drawings and doodles. 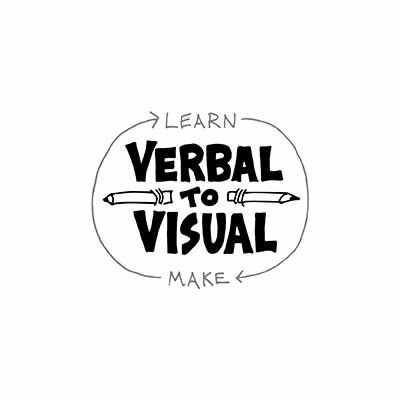 His name is Doug Neill and the program he teaches is called “Verbal to Visual“. His instruction takes you step by step into learning how you can become a better communicator to your clients, co-workers or anyone you are attempting to convey your message too. Doug’s techniques and instruction are not only unique, but easy to understand and incorporate into your drawing abilities. Doug empowers life long learners and makers to tap the the power of their brains by using hand drawn text and images with just a few different colors. That combination and technique is designed to light up the brain and make the person or persons watching your presentation more engaged and excited. I don’t know about you, but as we all seem to be trying to get the attention of others, this just might be something to consider learning. Doug teaches you how and why you might want to pick up this skill, and if you want to learn more just click Visual to Verbal to be directed to Doug’s website. I hope you enjoy this great interview with an engaging teacher of a skill that will set you apart from almost anyone.